Form a bight in each rope. Interlock the two bights. Pass each end over itself and over the other rope. Thread each rope across the middle under both ropes and then above itself. Pull tight to form the finished bend. 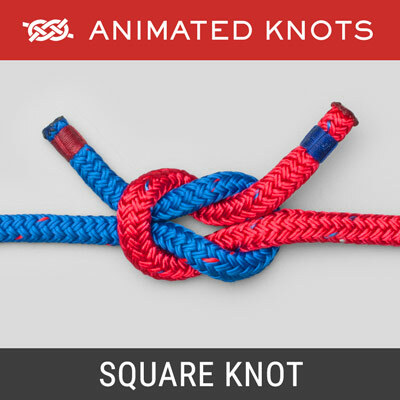 Uses: The Hunter's Bend is one in a family of knots based on interlocking overhand knots. 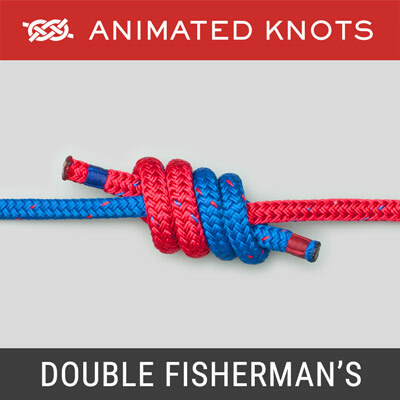 It is used to join two ropes together of roughly the same size. Dr. Edward Hunter described it in 1978. 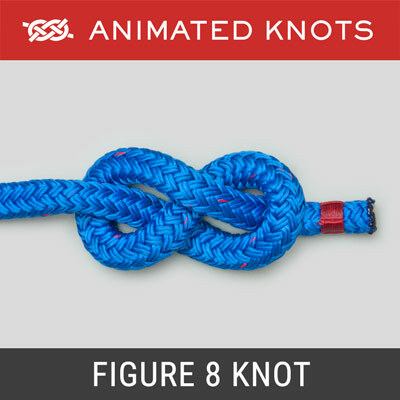 However, the knot had been described in 1975 by Phil Smith who had used it for more than thirty years on the San Francisco waterfront as the "Rigger's Bend". Rightly or wrongly it now goes by Hunter's name - and it has been give the number 1425A in the revised version of Ashley's book. It can be hard to untie after being heavily loaded. 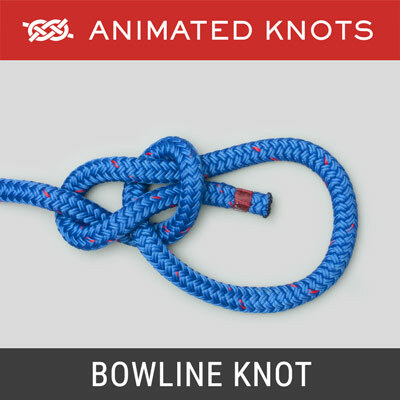 Similar Knots: The Hunter's Bend is remarkably similar to several other bends including the Zeppelin, the Ashley, and the Alpine Butterfly Bend.Essentially these knots employ interlocking overhand knots with the ends threaded through or across the middle. David M. Delaney tested these bends and the Carrick Bend for their tendency to jam. He heavily loaded the knots tied in 1/16 inch braided nylon. The Ashley and the Hunter's consistently jammed tight and would have had to be cut to release them. The Alpine Butterfly Bend, the Zeppelin, and the Carrick could all be untied easily using fingers and fingernails. Amongst the family of bends based on linked overhand knots, it would seem prudent to avoid the Ashley and the Hunter's. Tying it: The arrangement of the interlocking loops and the path of the ends through the center are critical. Similarity to other bends employing interlocking overhand knots invites confusion - and mistakes. 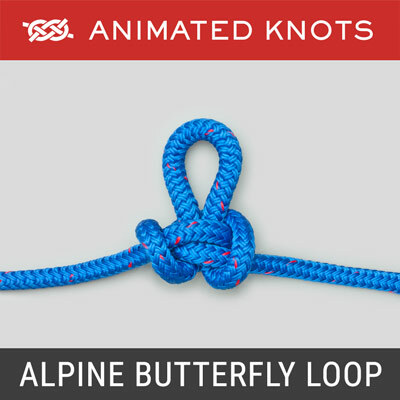 We prefer the Alpine Butterfly Bend because, uniquely, it is tied easily by wrapping the rope round the hand. 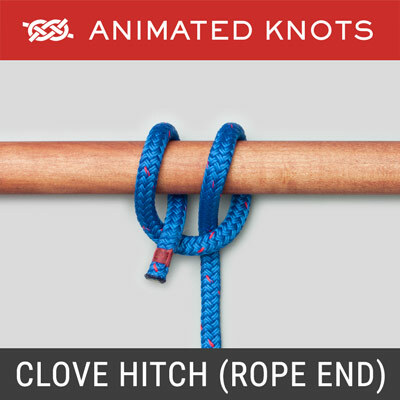 Choice: The similarity to other bends employing interlocking overhand knots invites confusion - and mistakes. We recommend the Zeppelin because it resists jamming and the Alpine Butterfly Bend because, uniquely, it is tied easily by wrapping the rope round the hand. The Hunter's tends to jam and offers no unique advantage to justify its use. Knitting: The very feature which is a disadvantage in rope, is highly desirable when knitting. Both the Ashley and the Hunter's make excellent knots for joining two ends when knitting. The last thing you wish to see is your garment unraveling.